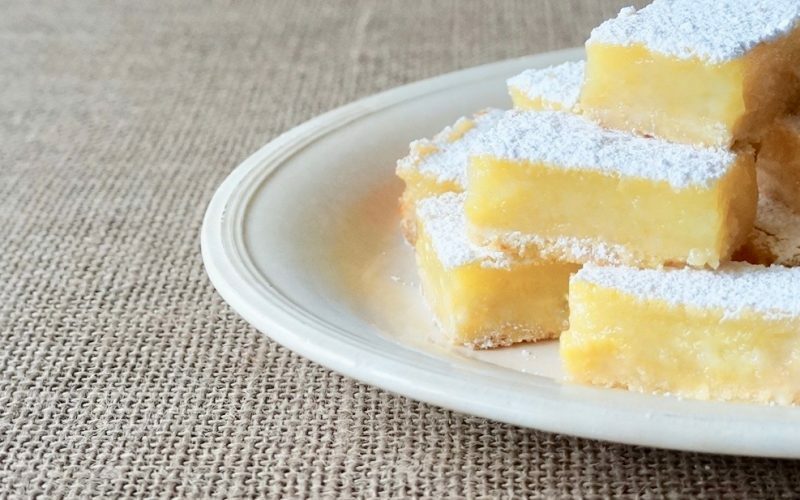 Lemon Bars offer the convenience we look for when entertaining as the shortbread crust blends together quickly. While it bakes, simply whisk together the filling & pour it over the hot crust without the need to wait for it to cool before popping it back into the oven. Everyone has a recipe they covet & this particular version features cornmeal in the crust for lovely texture & a smidgen of orange juice in the filling to slightly mellow them. Learn how to prepare a this delicious dessert ideal for bridal showers, garden parties & Easter celebrations. Freshly squeezed orange juice mellows the traditional reception favorite. 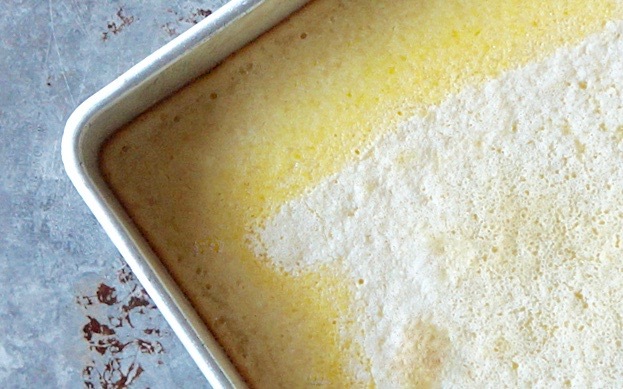 Cornmeal adds complex texture to the crust. Preheat the oven to 350 degrees. Cream the butter, the powdered sugar & the lemon zest with an electric stand mixer on Medium speed until light & airy. Combine 3/4 cup flour & the cornmeal in a small bowl. Add to the butter mixture & blend on Low speed just until combined. 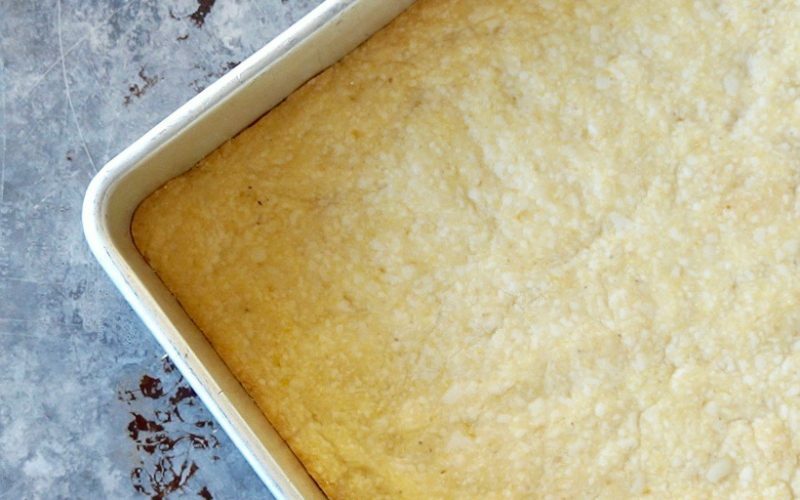 Press the dough into a lightly greased 8 x 8-inch baking pan. Bake the dough for 15 to 20 minutes or until lightly browned. Meanwhile, prepare the filling. 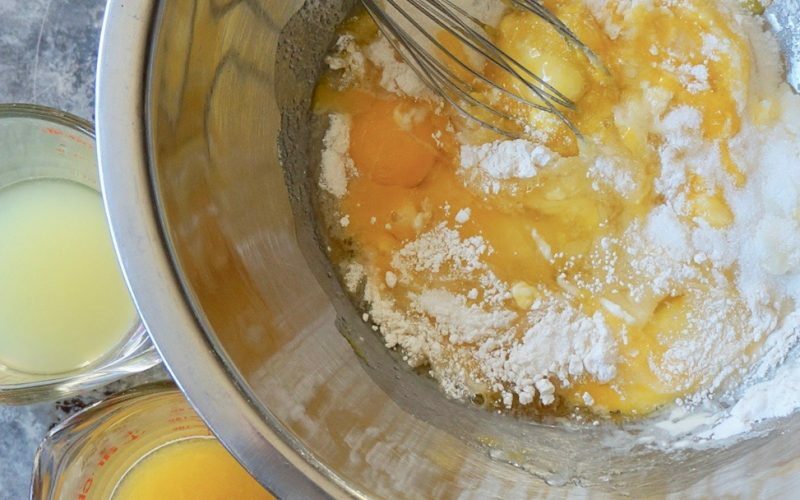 Whisk together the granulated sugar, 1/3 cup flour, the eggs, the lemon juice & the orange juice in a medium bowl. Pour the filling over the warm crust. Bake for 30 to 35 minutes or until the filling is set in the center. It will puff then settle level into the pan as it cools. Let stand 45 minutes. Chill at least 4 hours or overnight. Gently run the sharp tip of a paring knife around the filling to loosen from the pan edges. 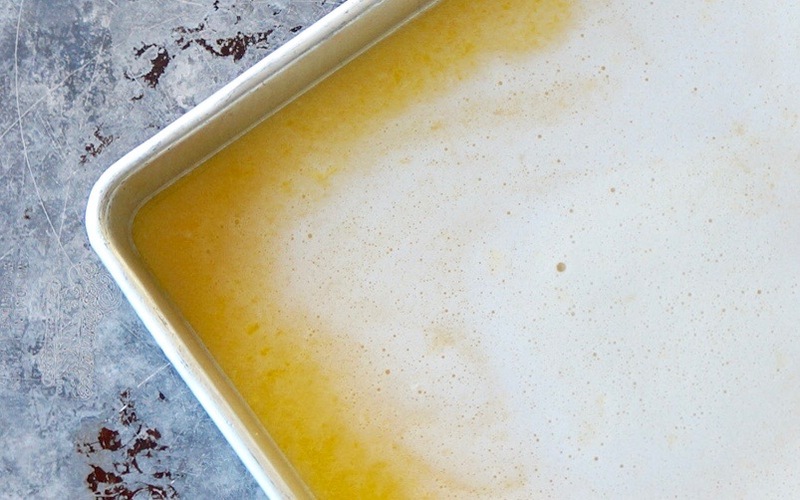 Cut into bars & remove them from the pan. Dust with powdered sugar. Store the cut bars in the refrigerator. Dust with additional powdered sugar, if desired. 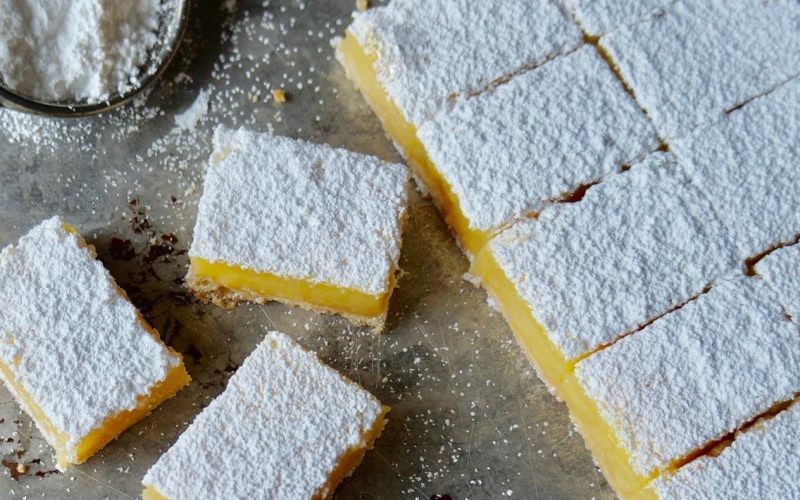 Lemon Bars have long been an undeniable spring entertaining & church function classic. 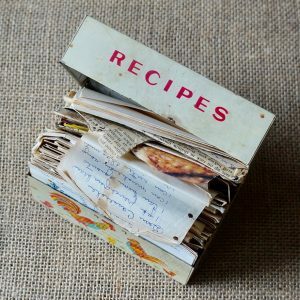 A freshly prepared batch offers the good taste of a homemade dough with the convenience of baking it all at once thus saving time at the oven. 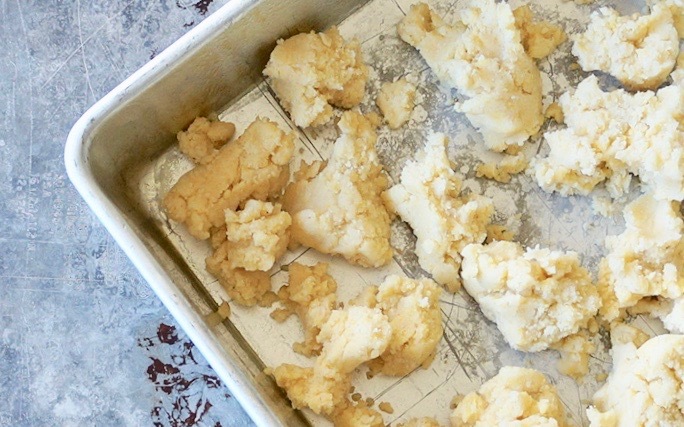 Once the pan has cooled, a few simple cutting techniques have the cookies ready for your party or simply to enjoy whenever you so please. From quality ingredients that are measured properly to blending & portioning them just so, you can create a pan of bar cookies perfect for an array of socials or an after supper treat. With a few pointers, you’ll be well on your way to baking a pan of effortless bars knowing you’ve created something fresh & wonderful. Here’s what you should know. A heavy duty electric stand mixer blends the dough together quickly. Once it comes together in the bowl, crumble it into the pan. Preheat the oven to 350 degrees. Cream the butter, the powdered sugar & the lemon zest with an electric stand mixer on Medium speed until light & airy. Combine 3/4 cup flour & the cornmeal in a small bowl. Add to the butter mixture & blend on Low speed just until combined. 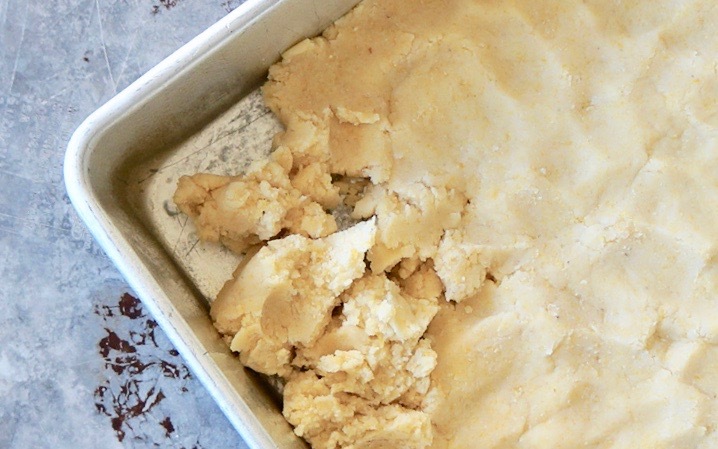 Press the dough into a lightly greased 8 x 8-inch baking pan. Use your fingers to join the dough & create a level, even base. Bake the dough for 15 to 20 minutes or until lightly browned. 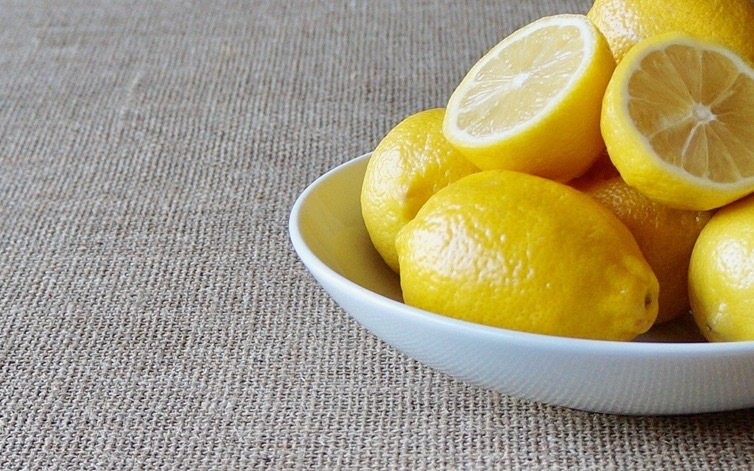 Always use fresh citrus for cooking & baking applications for the best flavor. 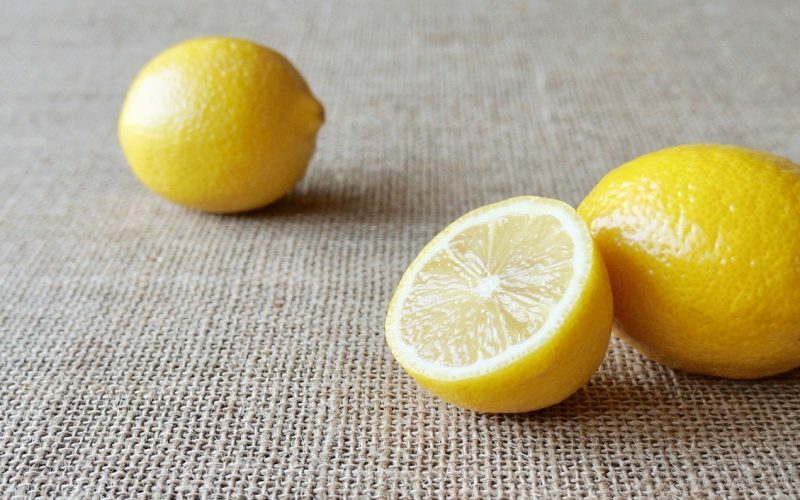 Look to The Basics: Lemons for pointers on how to capture the juice. 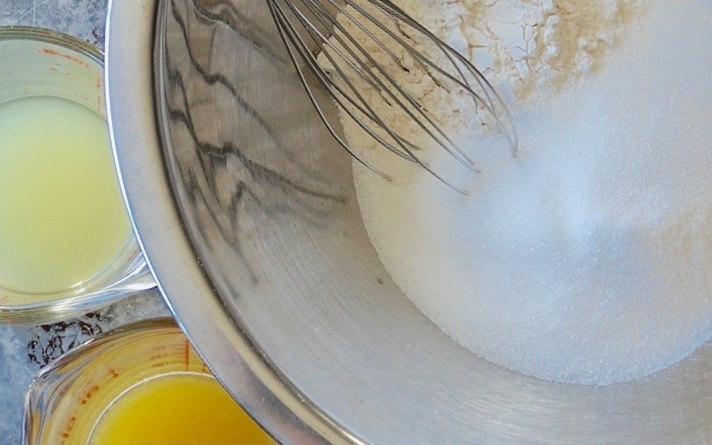 Whisk together the granulated sugar, 1/3 cup flour, the eggs, the lemon juice & the orange juice in a medium bowl. Pour the filling over the warm crust. The white portion over the surface are the air bubbles created while whisking the mixture together. They will set during baking however once cut, a light dusting of powdered sugar will cover them. Bake for 30 to 35 minutes or until the filling is set in the center. It will puff then settle level into the pan as it cools. Let stand 45 minutes. Chill at least 4 hours or overnight. Gently run the sharp tip of a paring knife around the filling to loosen from the pan edges. Begin by making a straight cut directly in the center of the pan. Continue to cut each row in half. Give the pan a quarter spin & repeat the process. Wipe the knife clean with a towel between cuts for a neat look. Once there are 16 squares, cut each in half to create the party-size bar cookies. Remove them from the pan. Dust with powdered sugar. Store the cut bars in the refrigerator. Dust with additional powdered sugar, if desired.